It's a complete mystery how a rather generic band can emerge from the homogeneous post-punk segment of the indie rock scene. We Are Scientists are really no exception to this. 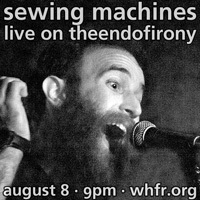 Sure, the band have a decent sound, an alright live show, and a new album with some songs that aren't bad. However, being "not bad" does not entail that the record is engaging, interesting, or even good. In a lot of ways, there isn't anything wrong with Barbara. The musicianship is competent, the songwriting is decent, and there is a fair amount of energy to it. The problem is that this sound has been done, not just by We Are Scientists, but countless other nameless bands. 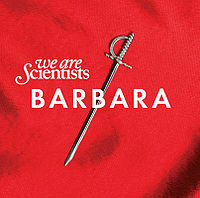 The thing is that We Are Scientists have distinguished themselves from the unknowns to make a name for themselves, but Barbara still doesn't give me any clues as to why. Maybe it's just that indie rock, despite having a daring reputation, actually welcomes and rewards the generic. Whatever the reason, with this being the band's first album free of a major label, it would've been nice to hear things get more daring--or at least more memorable.